I've been in the market for a slightly used Accord EX. I have some concerns over one of the potential cars I want to buy. 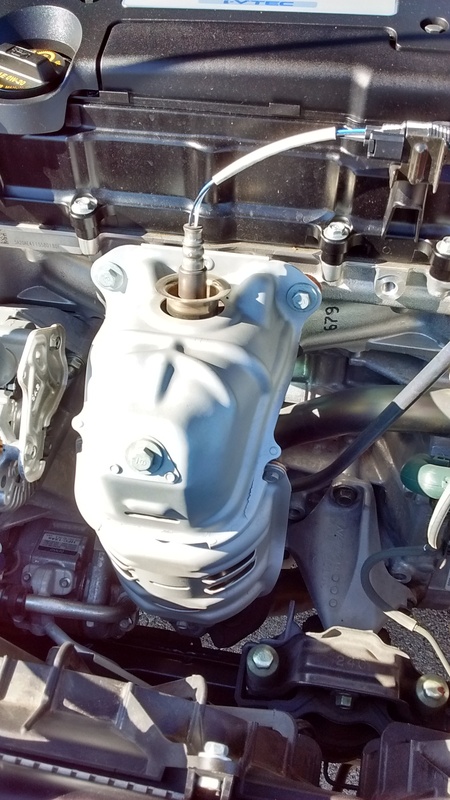 2014 EX with 21,000 miles, still has 22 months of basic limited warranty. Car overall looks good but this one piece is completed rusted which has me concerned. I googled it to the best of my ability but still wanted to get more info..
What do you guys think? Just surface rust? Why is just this piece this rusted? Is this the exhaust manifold? Should I have concerns on this cracking down the road? Will honda replace this under warranty? Thanks and forgive my ignorance. Honda should (read: is supposed to) replace rust under warranty. Uhhh, what am I missing? 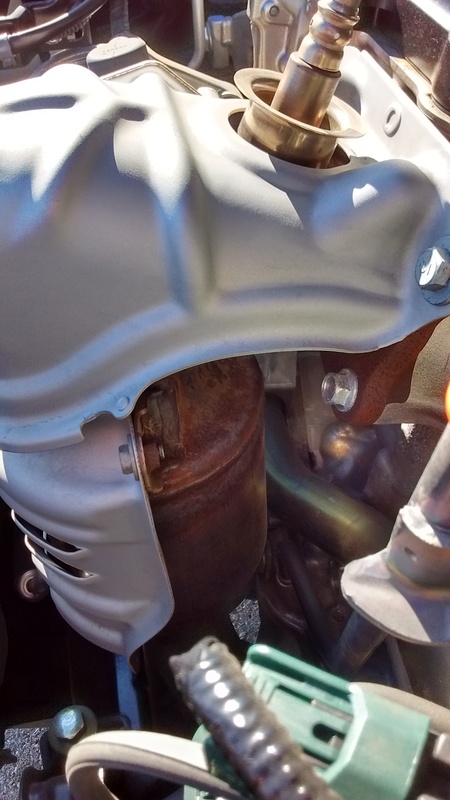 The picture is showing part of the exhaust system, and it is *supposed* to look rusty. Virtually every car on the planet looks like that. "Is this the exhaust manifold? Should I have concerns on this cracking down the road?" I just looked at mine, a 2014 4 cylinder. It looks about like that. I think it might be a catalytic converter. It will last life of the car. It has a heat shield so it gets really hot. Even stainless steel when heated will discolor or even rust.